Are you interested in becoming one? 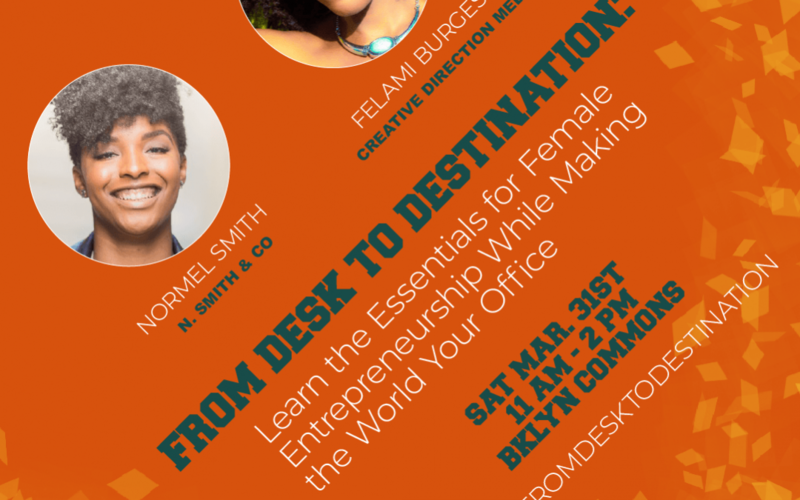 From Desk to Destination is a workshop series for women who want to learn how to become digitally nomadic entrepreneurs. Felami Burgess, the founder of Creative Direction Media, will give you tips and guidance on how to create personal freedom and professional flexibility in your life and business. Normel Smith of N. Smith & Co. will show you the essentials of working with, hiring and becoming a virtual assistant.